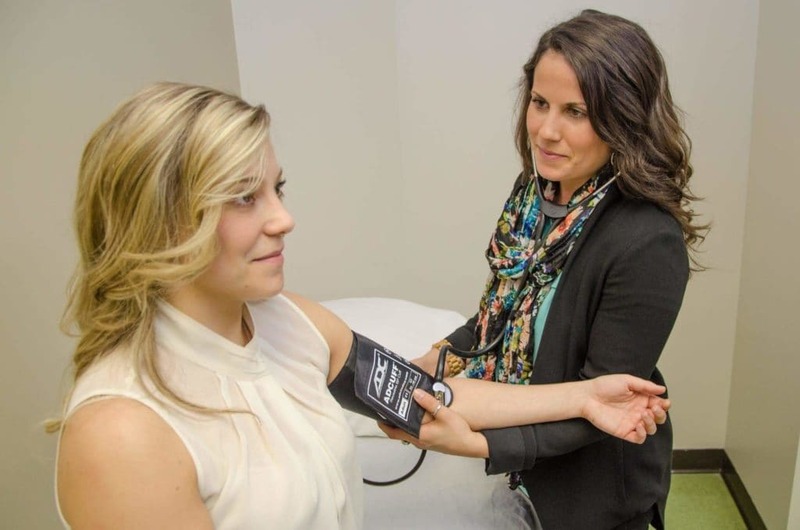 If you are considering a career in naturopathic medicine, you may wonder what type of patients will be drawn to see an ND. Chances are you are or have been worried about your health and/or the health of your loved ones at some point. Chronic health issues often lead patients to explore alternative treatment options. Extended medication protocols may be appropriate for some patients, however the “never-ending pill” leaves others questioning if there are any safe alternatives to staying on a medication protocol indefinitely. Increasingly, patients are seeking out health providers who are knowledgeable about a more organic and natural lifestyle in everything from cooking to medicine. This is where naturopathic doctors come in. Have you ever wondered if naturopathic medicine is right for you or your loved ones? Below are five reasons patients go to see an ND along with the top conditions treated by naturopathic medicine. At the core of naturopathic medicine is the belief in six guiding principles. One of those principles is the idea that naturopathic doctors should search beyond the symptoms presented to uncover the underlying cause of the health condition. This often leads to the discovery that there is not one “magic bullet” to the problems, but can also help patients realize there may be many health issues that are interconnected, some of which they may not even be aware of. Another of the guiding principles is treating the whole person. By focusing on both the physical and spiritual well-being, NDs can help their patients in multiple areas of their lives. Many of the biggest health issues facing North Americans are directly linked to nutrition. As a whole, we consume far too many processed foods which are high in fat and full of empty calories. One of the best reasons to see a naturopathic doctor is to help personalize your nutrition. Core to naturopathic practice is the role of an ND as a health educator, helping identify and guide patients to eat properly for their particular situation. An ND may provide suggestions on how to eat healthy, and often on a budget. As a result of therapeutic nutrition, you can expect to see many health problems improve. Food as medicine may ease problems associated with diabetes, assist with weight loss, lower blood pressure, and foster general improvement in well-being. Nutritional planning can also pack a punch in improving digestion and digestive tract issues. From Irritable Bowel Syndrome and heartburn, to bloating and constipation, NDs can help examine what you are eating, and get to the root cause of your problem. Naturopathic doctors use diagnostic tools to determine if the body is having trouble digesting certain foods or reacting to foods and food additives. NDs may recommend diet and lifestyle changes as well as supplementation. Nutrition doesn’t just impact your stomach. A realignment of diet to a more wholesome approach can help with hormonal imbalances aggravating problems such as thyroid disease, PMS and menstrual irregularity. Instead of turning to synthetic hormones, NDs may suggest herbs or naturally derived hormones that will help with realignment. They can also identify foods that naturally regulate the cycle and promote balanced moods and sleep. NDs treat the whole person, recognizing the impact of the social support of family and community in navigating tough issues. Lack of social support has been shown to have detrimental health effects such as increased cardiac risk and mortality. Strong social networks can improve patient therapeutic compliance as well as overall health care outcomes. People are becoming more aware of naturopathic medicine and are opening up to the possibilities that it offers. Rather than seeing naturopathic medicine as a replacement for traditional medical healthcare, people are beginning to understand that it can be an interlocking piece of the puzzle to promote overall well-being in integrative patient care. Click the following links to find a naturopathic doctor near you in the United States and Canada.